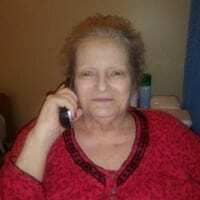 Ms. Janice Faye Bryant age 71 of Tennga, passed away Saturday, December 29, 2018 at Regency Park. She was a member of Tennga Baptist Church. Janice enjoyed spending time with her family, going on car rides and taking care of people. Ms. Bryant was preceded in death by her father, Humbert W. Dunn; mother, Pauline C. Dunn. Survivors include son and daughter-in-law, Kenny & Terri Bryant of Cleveland, TN; daughter and son-in-law, Lisa & Maurice Harris of Chatsworth; brother, Bennie Dunn of Seattle, WA; sister, Paulette White of Dalton; grandchildren, Ashlynne Bryant, Taylor Bryant, Brandi Franklin, Brooke Franklin, and Bresha Bryant; great-grandchild, Jaxon Bryant; nieces, nephews, and cousins also survive. Funeral services to celebrate the life of Ms. Bryant will be held Monday, December 31, 2018 at 2:00 p.m. in the chapel of Peeples Funeral Home with Rev. Larry Chastain officiating. Interment will follow in the Tennga Baptist Church Cemetery. The family will receive friends Sunday from 5:00 until 8:00 p.m. at the funeral home.